With a little over a month in the keg, it’s time to test out the Clonal Common! The recipe is intended as a clone of Anchor Steam, in the California Common (steam beer) style. For the sake of comparison, we also picked up a 6-pack of commercial Anchor Steam beer. A sharp woody/minty aroma is prominent (I can only assume this is from the Northern Brewer hops), but not overwhelming. I also pick up a caramel malt aroma in the background. Overall, a clean and pleasant aroma. Very clear, but not quite bright, with a medium-gold color. The off-white head is moderately fine and prominent when poured, and sticks around for awhile. The flavor is nicely balanced between the hops and malt–both have a light and pleasant touch. The bitterness is there, but not over the top. The malt character is a combination of caramel with a bit of toastiness faintly at the rear. There is a very light apple/pear fruitiness on the finish, which is pretty pleasant. This is a beer with medium-light body, moderate carbonation, and a medium-dry finish. As this beer has matured, it has turned into a very quaffable drink. I wouldn’t say this is my favorite style of all time, but it definitely is a very solid recipe and one that I’ll brew again. There’s not much I’d really change on this. Malty with a caramel-forward note; some fruity esters in the background. No noticeable hops to my nose. The head is low and moderately-fine, with an off-white color. Head retention is reasonably good. The beer itself is a light amber or medium gold color. Prominent caramel malt flavor, almost butterscotch-like. The bitterness is subdued and most evident on the finish, rather than being hops-forward. The hops finish is slightly woody. Medium-light body, with moderately high carbonation. Moderately dry finish. A good beer, and I suppose the epitome of the California Common style, but I like mine a bit better, in terms of its more subdued malt. 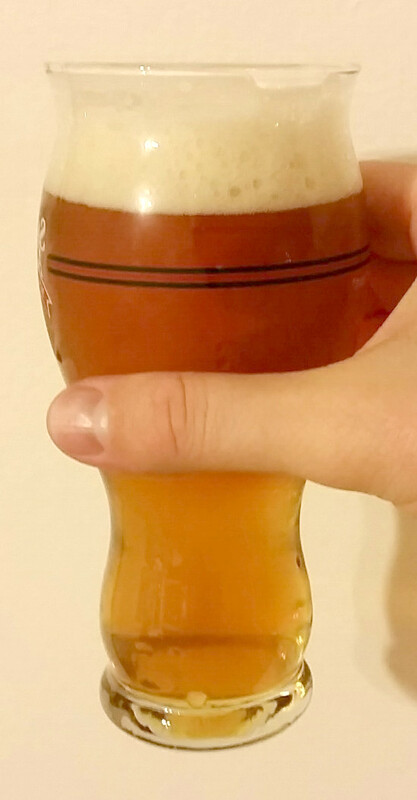 Both my wife and I agreed that my homebrewed version was more to our tastes. The commercial version was just a little too fruity and cloying. 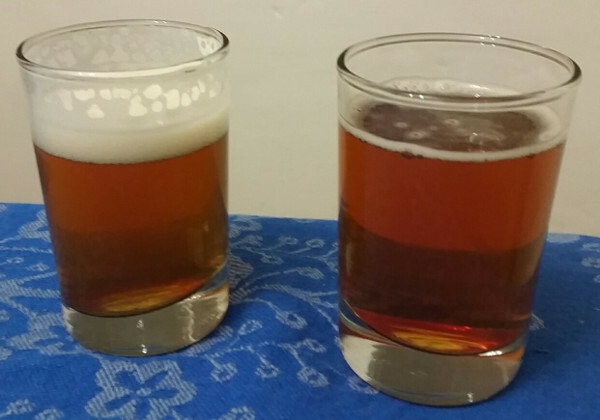 The commercial Anchor Steam has a far more prominent caramel aroma and flavor than my homebrew version, which is slightly more prominent in the hops and toastiness of the malt. Anchor Steam itself is slightly more carbonated, too. However, the body, color, and abv match up quite closely. In all, I like my clone quite a bit (and actually prefer it), even if it’s very definitely a different beer from the commercial product. I suspect the differences come down to process and ingredients. This has been a fun exploration of a beer style–I’ll have to try one of these side-by-side comparisons again with another style! This entry was posted in clone, steam beer, tastings and tagged Anchor Steam, CC, Clonal Common. Bookmark the permalink.